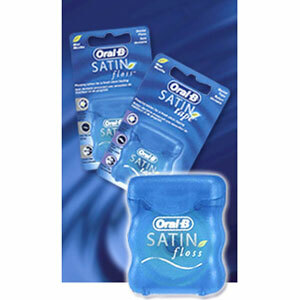 Oral-B® SATINfloss® provides advanced flossing action for a fresh, clean feeling in your mouth. Its advanced, two-layered design provides superior strength, easy handling and comfort. In fact, our tests show that Oral-B® SATINfloss® is preferred 2-to-1 over Glide® dental floss.